We are a high-tech company that focuses on manufacturing technology, laser technology and medical technology. We offer our customers both innovative and high-quality products, as well as solutions to their problems - in sheet metal processing, laser-based production processes, electronic applications and in hospital equipment. Our expertise in these fields provides the competitive edge our customers require. 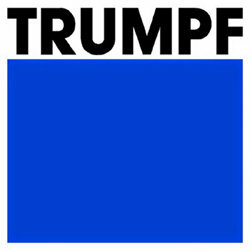 Jinfeng International Industry and Trade Co., Ltd.
TRUMPF México, S. de R.L. de C.V.